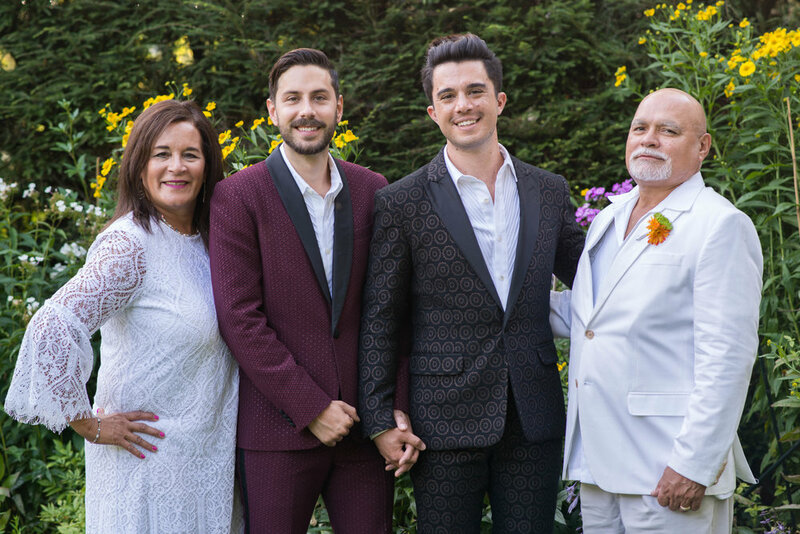 Cameron and I were legally married in Beverly Hills, CA in October 2015. 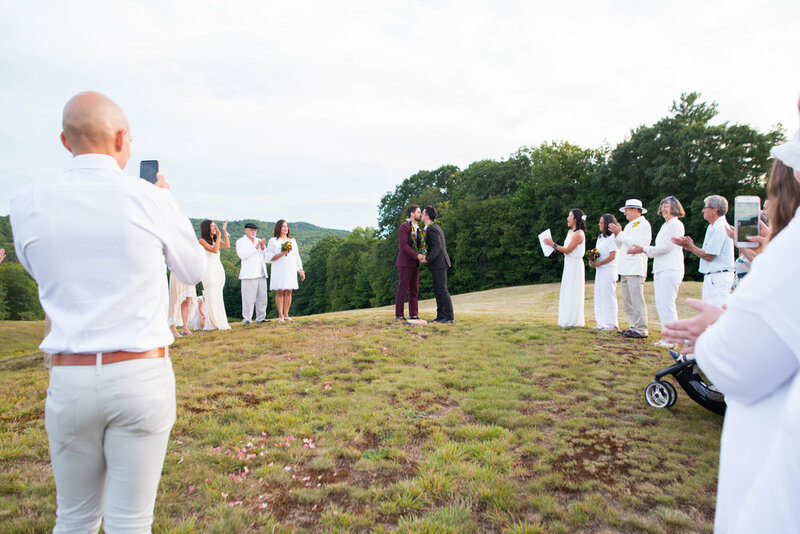 We held off on having a wedding because of the costs and stresses related to wedding planning, but when the opportunity presented itself to have our wedding at J. D. Salinger's estate in Cornish, New Hampshire, we were finally able to create our perfect "reaffirmation ceremony." It was perfect! These days, weddings are a tremendous source of stress for young couples. From the expenses, to the logistics, it's not manageable and, from my perspective, the whole wedding industry is focused on making things as complex and expensive as possible. When Cameron and I weighed the option to have a wedding or to keep building our savings, we felt the latter was a higher priority. Moments at The Common Man Inn before heading to the ceremony. We are not a couple that sticks to traditions. 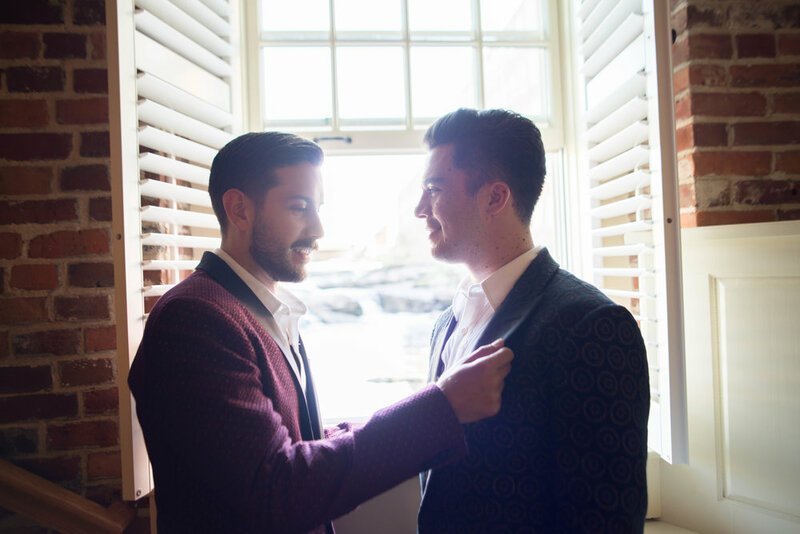 I think as a gay couple, we already had a traditionally "unconventional" relationship, and things like proposals, engagement rings, and bachelor parties don't neatly apply. By the time of our wedding, we were already married, had already had our honeymoon, and already wore our wedding bands every day. So we felt like we had a blank slate in terms of how the wedding itself might unfold. Cameron and I had waited nearly 5 years of dating before getting engaged in Barcelona, Spain at Laberinto de Horta in on Friday, September 19th, 2015. And a month later on Friday, October 16th, 2015, we were legally married in Los Angeles by a lovely, licensed officiant. So this wedding celebration on September 2nd, 2017 wasn't for us to be legally married; instead, we called it a "marriage re-affirmation ceremony." It was the first true celebration of our love with our family and close friends. We decided the only way we could wrap our heads around a celebration like this was to make it extremely small. Most friends' weddings have around 100-150 guests. We set our target size to 50 people. Instead of inviting everyone in our family or most people we considered a friend, we invited only people who: 1) have been part of our relationship from its beginning 2) have stayed an active part of our relationship up until the present. It was hard to narrow down to a wedding this size, but in the end we wouldn't have had it any other way. Aesthetically, we also didn't want to follow traditions in terms of attire and dress. So, instead of having everyone wear suits and formal attire, we had one dress code rule: wear white, off-white, or light tan. 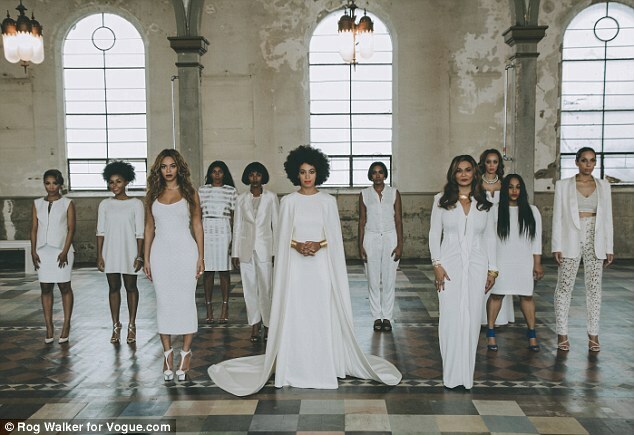 We were actually inspired by Solange's wedding photos from several years back. 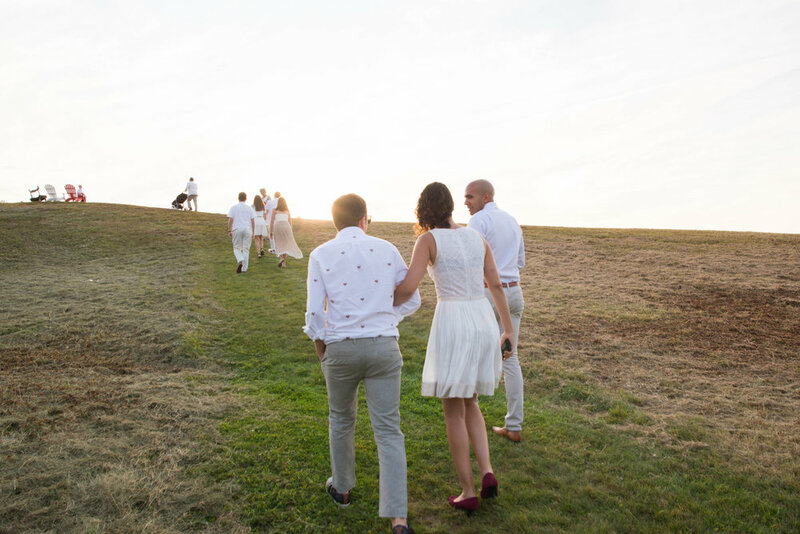 This was perfect for our Labor Day Weekend date – a last chance in New England summer to wear white. Our guests were a little nervous about this dress code, and I got lots of questions. But in the end, it looked so beautiful and coordinated. Since it was a holiday weekend, we also planned several events around the ceremony: a Friday evening bar event at Harpoon Brewery in Windsor, VT; a Saturday lunch at my parents' solar-powered roundhouse; a Sunday brunch catered by Anne's Country Store; a Sunday pizza dinner handmade by my dad and with amazing Puerto Rican rice and flan made by my mother-in-law; and a farewell breakfast hosted by my aunt Jody. We were extremely lucky that the weather was perfect on Saturday. Friday it was 60 degrees and felt cold. Sunday it rained all day from the aftermath of Hurricane Harvey making its way to the North. But Saturday, miraculously, was a perfect late-summer day at 70 degrees, with no wind, and beautiful light. There was even a "sun-dog" (rainbow around the sun) just before our ceremony began. It felt light a blessing from nature to commence our celebration. The ceremony was beautiful. 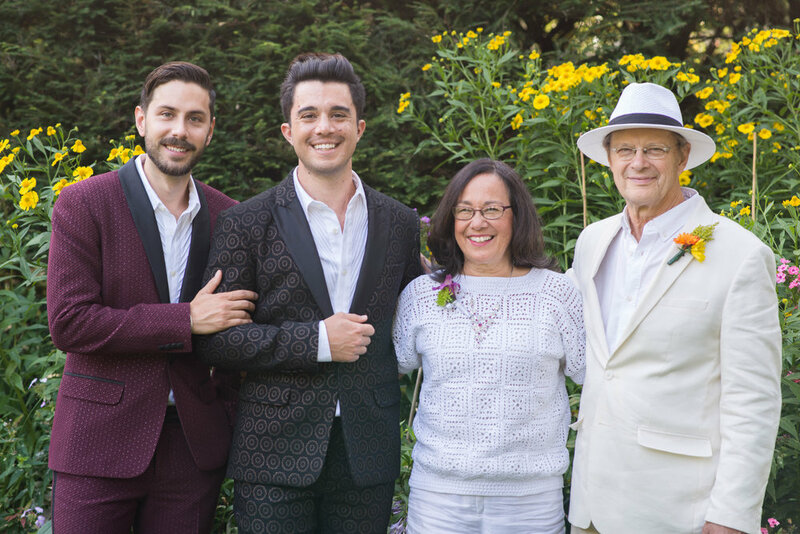 We replicated my parents' original ceremony – their ceremony was written by a dear friend of my mom's. It included Khalil Gibran's The Prophet, which worked nicely for us because it was profound without being religious. My parents just celebrated their 36th wedding anniversary, so we felt it would be a blessing on our marriage to use their ceremony. Since we were married on a hilltop, I was thinking that it might be nice for Cameron and I to be encircled by our guests. Little did I know, my parents' were also married encircled by their guests. So the ceremony, as it was written, perfectly matched this format. That was just one beautiful coincidence that felt deeply meaningful. 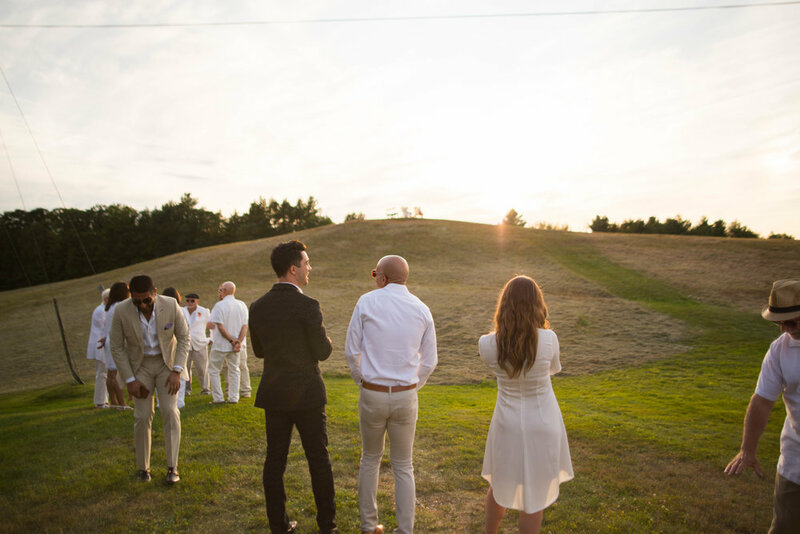 The ceremony began right at sunset, and the lighting was golden as our guests processed up the hill and formed a circle to welcome us. Our ceremony was officiated by our dear friend Jane Choi and she did an astoundingly wonderful job. She led the ceremony with precision, spiritual meaning, and flowing love. Cameron and I each wrote vows 100 words each, which we kept secret and shared in the moment. I cried heavily (ugly cried, yes), which was unexpected because I don't cry often – this caused a chain effect of crying, and nearly everyone was in tears. At the end of each of our vows, we said "I love you" and placed a floral stole on the other's neck. This exchange was meant to signify the exchange of rings, but we came up with it as an artful way to make the moment more personal. The ceremony is the most beautiful and joyous moment of my life – shared with family and friends, each of whom I know well and love deeply. Cameron and I felt the deep meaning of our commitment to spend our lives together – and we felt the warmth of all the love around us. Special thanks to my parents and Cameron's parents for contributing so generously to making our small ceremony come to life. We are forever grateful for this shared weekend of love and laughter. We couldn't have pulled it off without the tireless help of our friends Kelly & Nicole. And big thanks to my aunt Jody and cousin Hilarie for helping with some important parts of set up. As a thank you and as a tip for others who are planning weddings, I want to share the amazing partners we worked with for our wedding. We were invited by Colleen of Langwood Barn in Cornish, NH to have our wedding at her property – she was married to J. D. Salinger (who passed in 2010) and now runs the estate in Cornish, NH. This became a prideful, historic connection for our ceremony. She is a friend of my parents and a community leader. We were so honored that she supported us in creating our celebration. Purity Vodka – a premium, organic vodka from Sweden – so graciously provided enough vodka for our entire wedding. The vodka tastes delicious, and I have posted a review on my blog. Winc Wines - formerly Club W – provided Rosé for our pre-ceremony mixer. Their "Summer Water" is a refreshing, dry rosé that's absolutely our taste! Mr. Turk is my go-to designer. 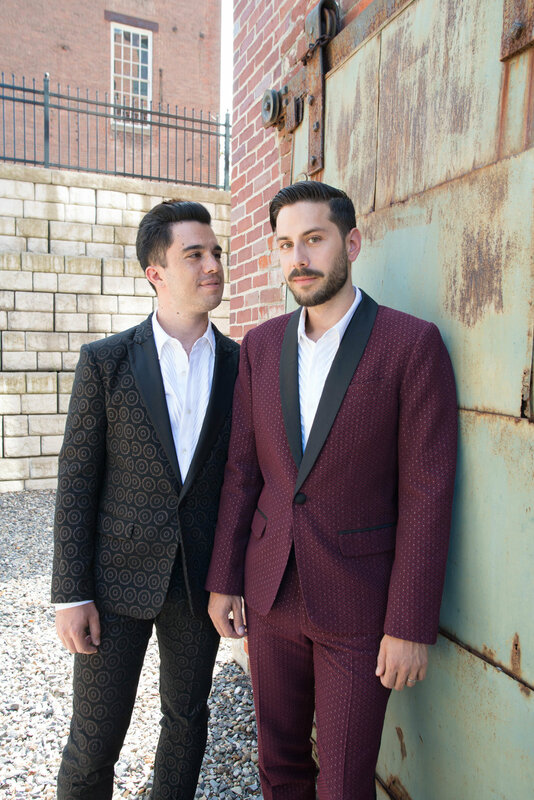 His suits are beautifully designed, delightfully creative, and they fit perfectly every time. The fabrics are always unique and surprisingly comfortable. And the bold patterns give what I call a "California dapper" flair. We are extremely grateful to Mr. Turk for providing both of our suits and shirts for the ceremony. The suits were exquisite. Brianne Seekins of Belfast, Maine came all the way out to our wedding. She charged a very modest fee and produced such lovely images. She was professional and captured every moment of our day. 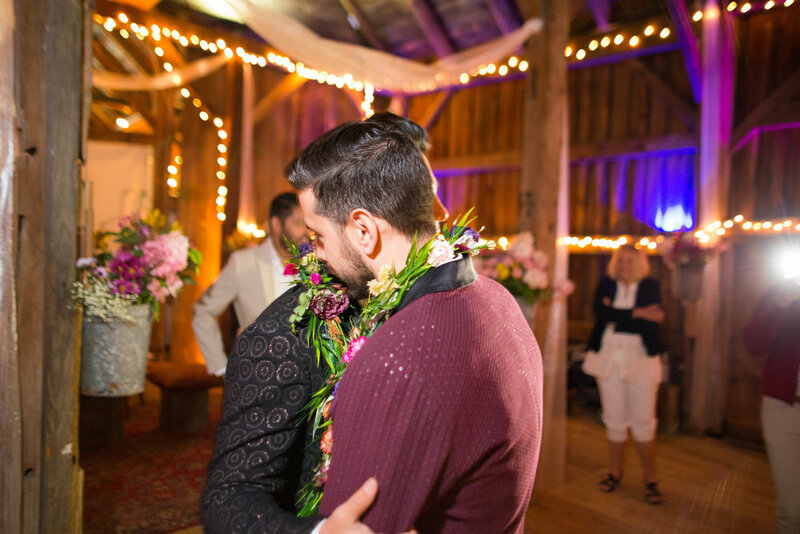 We hired local floral artist, and close family friend, Peggy of Song Garden Flower Farm to create beautiful, unique floral "stoles," which to us was an open-ended lei/boa. We exchanged these instead of wedding bands during the "I do" part of the ceremony. We chose the exact flowers to be included in the design from the garden, which included a mix of bright summery tones and moody fall tones. The result was stunning and we have kept these and dried them to cherish. She also created hand bouquets that our mothers carried as they processed into the circle. Our amazing food was provided by Anne's Country Store a local, gourmet gathering spot in Plainfield, NH on Route 12-A. The menu was delicious and Anne's service was impeccable. 80% of of our decor came from Amazon.com – from uplighting to crystals to gauze drapery, Amazon made everything so easy and affordable. Another portion came from local stores like Michael's, The Party Store, and even the dollar store and Wal-Mart. Decor doesn't need to be expensive, it just needs to produce an effect. So "hacks" like the dollar store and other discount stores are great for elements like table settings, flatware, and small decorative flourishes. At the recommendation of a friend, we used Globalroses.com to order 200 roses to create our centerpieces for the tables. I found the Under Cover Tents by searching online, and they took care of set up and removal of all our tents and seating for the dinner tent. They did a great job and were very professional. Our pies were provided by a local pie baker, Doug Moulton. All the pies were local, seasonal creations: Strawberry Rhubarb, Raspberry Peach, Apple, and more.